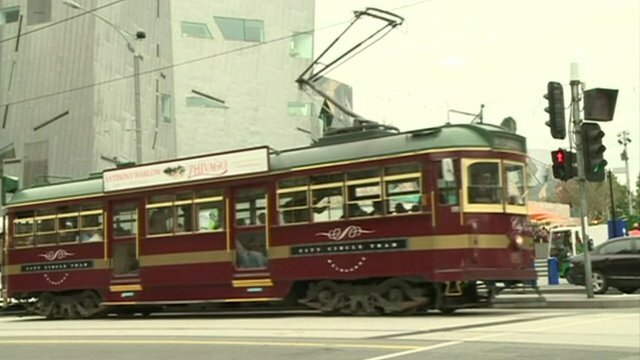 Melbourne is Australia's second city and many visitors will associate it with the Melbourne Cup horse race but another of its iconic features is its trams. It is one of the only places in the world where tourists can ride around the inner city for free as Carmen Roberts reports. Watch Fast Track on the BBC World News channel on Saturdays at 04:30, 13:30 and 19:30 GMT or Sundays at 06:30 GMT.